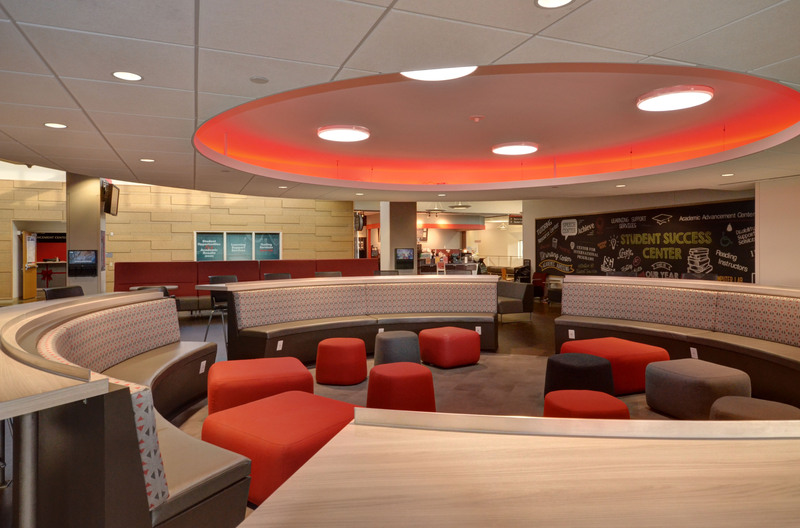 The new Student Success Center at SIUE is a state-of-the-art facility that was built to maximize student success. 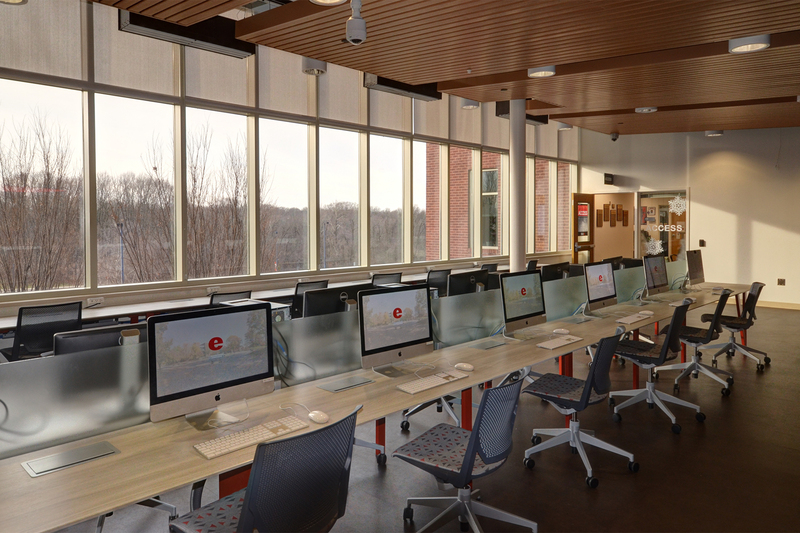 The Association of College Unions International (ACUI) recently honored the building with a prestigious facility award for its innovative design. 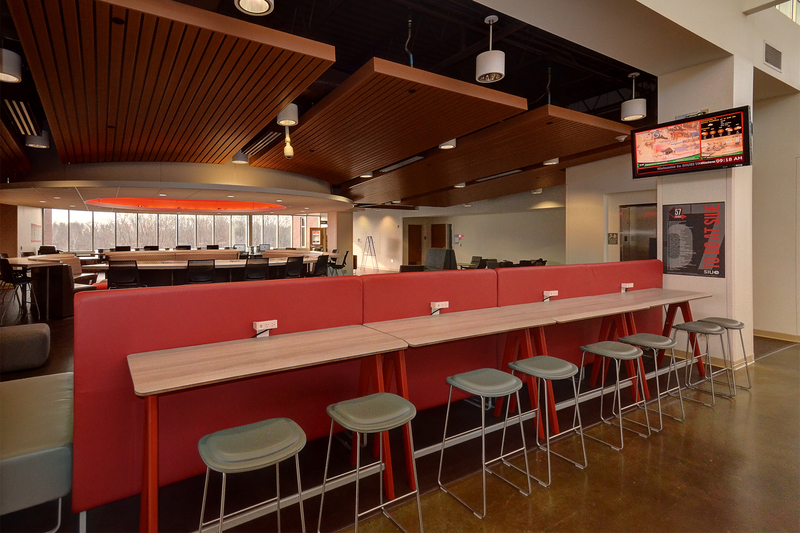 This collaborative project between the Office of Student Affairs and Office of the Provost began as a student idea and evolved into the 24-hour facility that is now connected to the Morris University Center. The construction of this building supports not only academic success for SIUE students, but also the personal and professional success that will help them achieve their goals. Bringing together a diverse collection of departments provides the students with a central location for many of the resources they need. A list of these resources is located in the links to the left. This building is all about students...it includes Kaldi's Coffee, a large student lounge, a computer lab, and group meeting space. It was constructed to LEED standards for sustainability and minimum environmental impact. The Student Success Center was dedicated on September 10, 2009 and features student artwork throughout the building. There is also a photo mural of SIUE students on the main level and the computer lab walls feature quotes written by current and former students.